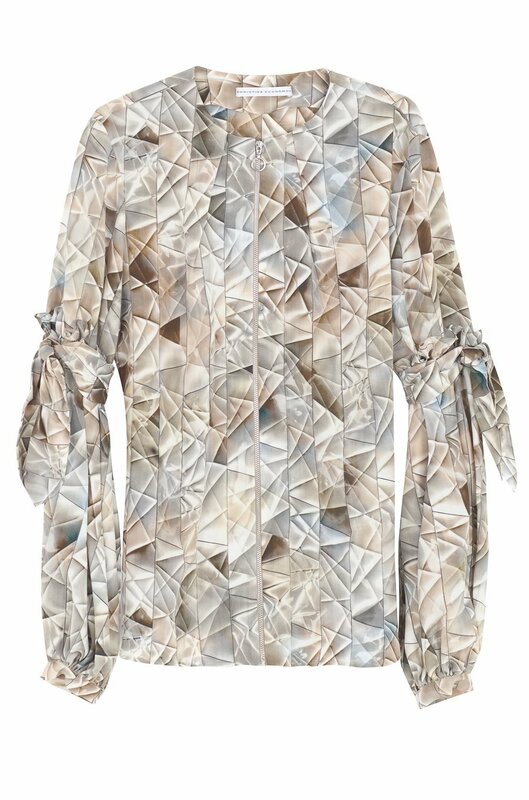 Made from fluid printed silk, this shirt has a zip-through opening detail and voluminous sleeves with ties. It is cut for a loose fit. Wear yours with the DENIM SHORTS.